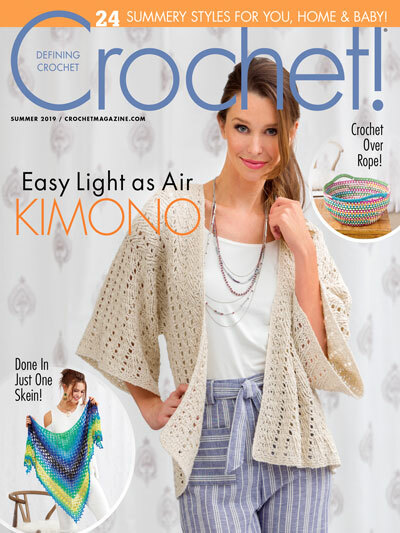 During the Back-to-School sale that Jennifer of Crochet by Jennifer had running about two months ago, I purchased 10 of her crochet patterns. 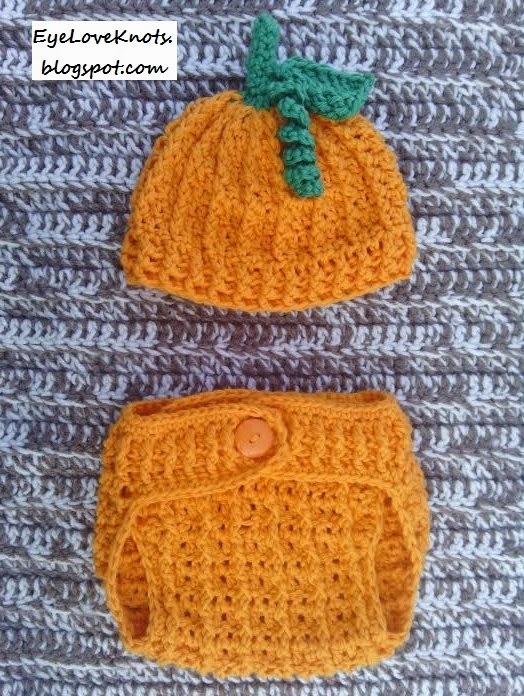 This super cute Pumpkin Hat and Diaper Cover happen to be two of them. The front post and back post stitches have always been intimidating to me. I was a little hesitant to purchase the patterns for this set but the five-star reviews and great feedback made me say, “What the heck?” And I’m so glad I did because they are some of the easiest (and cutest) patterns I’ve worked! The patterns are written so well – very clear and easy to understand. The set would make a great baby shower gift or fall photo prop! It would even work as a cute little pumpkin outfit for Halloween with a decorated onesie underneath. 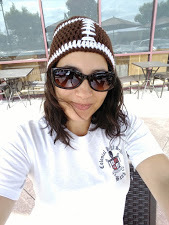 The hat by itself is perfect for fall family outings in which you want to match or as a mommy/daddy and me set. It’s also great for parents (or stubborn, older children) looking to fit in during trick or treating or at a Halloween party without needing to fully dress up. 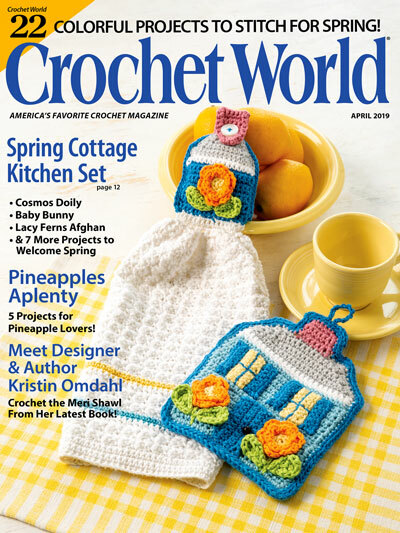 The pattern is written for the use of a heavier worsted weight cotton yarn, like Lily Sugar n Cream or Bernat Handicrafter but I was able to meet the gauge using the I Love This Cotton Yarn. I really love this yarn because it is a lighter worsted weight yarn, still 100% cotton, and soft! It still feels towel-like but much less than other cotton yarns. Another great thing about it is the stretch. It’s a more flexible cotton yarn. I worked the 3-6 month size hat, and 0-6 month size diaper cover. I was able to work each one up in about an hour and 45 minutes. That hat is available in newborn, 0-3 months, 3-6 months, 6-12 months, toddler/child, and teen/adult. The diaper cover is available in newborn, 0-6 months, 6-12 months and 12-24 months. The vine, flower, and leaf are sewn on after completing the hat – they can easily be left off, bigger or include more of. The stem can also be omitted. Simply work the beginning circle as any other! I made my diaper cover with one center button, but for extra security, you could also add buttons to either side of the cover as well. 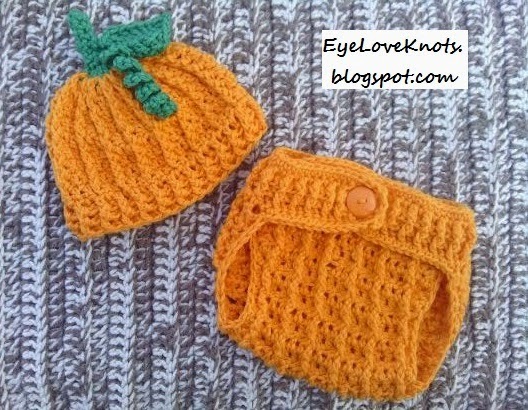 Don’t Crochet but Interested in Purchasing a Pumpkin Hat and/or Diaper Cover? I have already added the hat by itself, and the set to my Etsy shop. Feel free to send in your custom requests, including color is you want something different. 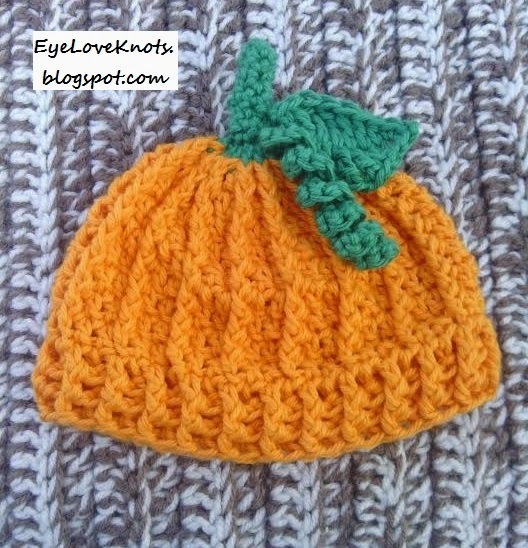 I can omit the stem, leaf and vine on the hat if you like the hat but don’t want it as a pumpkin. 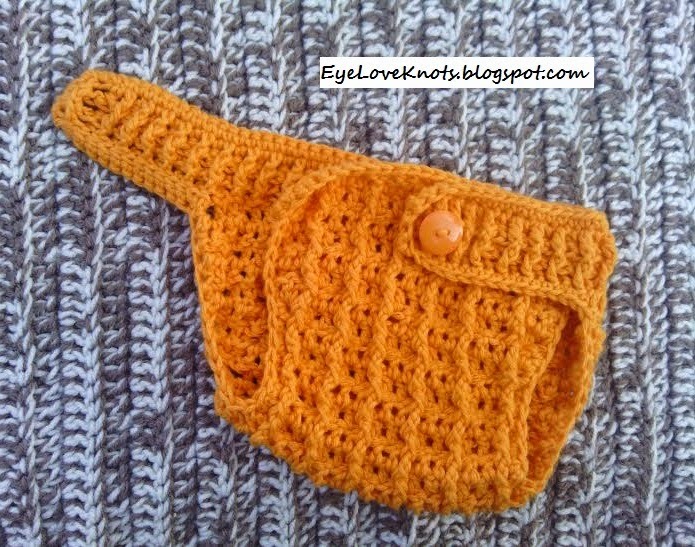 Find other color options here: I Love This Cotton Yarn. Super cute! I love the pumpkin hat! (And the diaper cover is pretty cute too!) 😉 I especially love the curly vine. Thanks! This pattern is probably one of my favorite buys so far. Can't wait to make it in EVERY color!